Alda started to teach tai chi as House of movement at around these times in the Swan Leisure in Rathmines. To celebrate this first anniversary, welcome all new students, and encourage potential ones to have a taste of the classes, HoM is organising free tai chi & qi gong classes. The classes will be a preparation for the long awaited seminar by the Chinese masters of the Health Qi Gong Association. Normal classes with resume the week after this event with 4 classes per week (except Monday bank holiday) in Dublin 2 and 1 class in Rathmines. Mondays at 6pm: Tai Chi 11 form in 28 South William Street. Cost: €45/ month. More info here. Mondays at 7pm: Introduction to tai chi and qi gong in 28 South William Street. Cost: €40/month or €13 drop-in. More info here. Mondays at 8:15pm: Tai Chi 11 form in Swan Leisure, Rathmines. Cost: €40 for beginners & €45 for post-beginners. More info here. Tuesdays at 6pm: Health Qi Qong in 28 South William Street. Cost: €45/ month or €15 drop-in. More info here. Tuesdays at 7pm: Tai Chi 11 form in 28 South William Street. Cost: €45/ month. More info here. Don’t forget to check our Offers page for more details about discounts you can avail of. Categories: News, Qi Gong Workshops, Social Events | Permalink. Group work: Foundation Tai Chi and meditation exercises. Sample classes: Chen style Tai Chi and ancient Qigong forms and meditations. Demonstrations: Tai Chi forms and weapons demonstrations and Health Qigong. To confirm or pay for a place contact: Kevin at claretaichi@gmail.com or phone Kevin 086 053 5513 or Marc 087 943 0660. If you are going from Dublin, contact Alda at houseofmovement@gmail.com or phone 087 7750782. She is organising a trip from Dublin. All instructors taking part are accredited by Master Liming Yue (7th Dan Wei) and are affiliated to the Ireland Tai Chi and Qigong Association. Categories: News, Qi Gong Workshops, Social Events, Tai Chi Workshops | Permalink. I’ve been quite busy lately in the House of movement. A lot to decide, a lot to organise, a lot to plan ahead, but everything seems to be falling into place. These are some news for the next term starting in September. 1) New venue in Dublin 2: All the new September courses will be in Ground Floor, 28 South William Street, Dublin 2, next door to the previous venue at South William Space. 2) New taichi courses starting in September: New course schedule already published with early bird offer. Check my website and confirm your name on the list to avail of a discount. 3) Taichi Festival in Ennis, Clare on 3rd September: As part of the fundraising for the Irish team who will compete in the 4th World Health Qigong Tournament & Exchange, a tai chi festival will take place in Ennis with many instructors affiliated to the Ireland Tai Chi and Qigong Association. More info here. 4) Master Liming Yue seminar in Loughrea, Galway on 10-11 September: Master Liming Yue returns to Ireland to teach for a weekend. On Saturday the seminar is open to all levels. Check details in the Ireland Tai Chi and Qi Gong Association website, here. 5) 4th World Health Qigong Tournament & Exchange in Canada on 15-22 September: I am part of the team who will represent Ireland in the tournament. So far, House of movement has fundraised €724 for the Irish team. Thanks everyone for your contribution. 6) Chinese Health Qi Gong Association will visit Ireland in October: A delegation from the official Chinese Health Qi Gong Association will be teaching in Ireland in October. They will be in Dublin on 24 and 25 October, so pencil these dates in your calendars. Closer to the dates, all the details will be posted in my website. If you wish to be part of my mailing list and be updated, just send me your email and you will receive all the news in your inbox. Contact Alda. Optionally, you can subscribe to this website or Like our page in Facebook. And this is all for now! Exciting term ahead after the August break. Last Sunday I was filled with joy after finishing the first big event to sponsor the Irish team trip to Canada to participate in the 4th World Health Qigong Tournament and Exchange. More info here. It was a great day with lots of fun and some surprises. We started the day with some chen style warm-ups and standing, learning some basic principles, doing some energy exercises and then some of the chen style 11 form moves. During the morning there was also a demonstration of chen style and wu style tai chi. We went for lunch, and after lunch we had a free raffle as a thank you for the participants support. The winners were: Andrée – Chen Style Foundation DVD; Héctor – Ba Duan Jin book; Hanna – Tai chi for health book; John – Voucher for a course in the House of movement for €35; and Beulah, who did a fantastic work recruiting more than 4 people for the workshop and funnily enough won a voucher for a free tai chi or qi gong course. In the afternoon, we learnt some moves from the five animals and 8 section brocade qi gong sets and we left tired but happy after some laughs, some relaxing exercises and the promise of more learning in the future. Thank you all for being there, for supporting this event and bringing friends along. Our next date will be next Saturday in the Iveagh Gardens at 11:30 for some outdoors tai chi/ qi gong. Looking forward to it!! 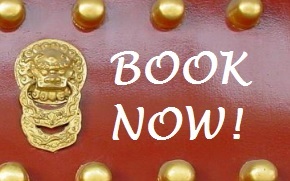 Categories: Qi Gong Workshops, Social Events, Tai Chi Workshops | Permalink. Today, I’ve decided to bring my practice outside my building perimeter, and went to do tai chi to the Iveagh Gardens. Earlier in the week, I invited all of the members of my mailing list to join me, if they wished so. Three of my students (2 old and 1 current student) and three newcomers to tai chi joined me at different times after 10:30 and we were waving our arms around until about 11:45. We did a bit of standing, silk reeling, twinning hands, qi gong breathing, some moves of the 11 form (chen style), some moves of 8 section brocade qi gong, and some moves of five animals qi gong. It was a beautiful morning and we all left happy and relaxed. It was great to be able to share this experience with all of you, so I thank those who made it, especially Alicia who has been a great tai chi supporter for months, and Hanna who has been my student for over 6 months and supported most of my events. I would also like to thank the participants for their donations for the Irish team who will compete in the 4th International Health Qigong Tournament and Exchange in September in Canada. More info here. Some participants showed their interest to have a regular class outdoors, so I may take this onboard and organise it, but it won’t happen before next year. In the meantime, I will keep inviting you to my tai chi practice, and I will share my silent moves with you. Ah, what a great way of starting the weekend! Categories: Social Events, Tai Chi Practice | Permalink. This is an extract from the website http://www.worldtaichiday.org/ on 30 April 2011 World Tai Chi Day 2011 and a video showing that tai chi is for everybody, even people with disabilities. Tai Chi doesn’t begin with the premise that there is something wrong that needs to be “fixed, sculpted, lost, or burned off.” It is a very accepting exercise, and helps us remember we are already perfect” but our ability to get better is limitless. Everyone is qualified to do Tai Chi. You don’t have to look good in tights or Spandex to do Tai Chi, although if you do Tai Chi enough, you’ll look pretty good in whatever you like to wear. Tai Chi and QiGong are for anybody who is dealing with stress. In other words—everybody. Anybody can do Tai Chi. If you’ve picked up a book on Tai Chi, you’ve probably experienced the acute stress of imagining yourself in some of those incredible (seemingly impossible) positions the Tai Chi models pose in for the photos. Relax. Those people are models. Most people do Tai Chi just the way you will do it. Easily and effortlessly. Although Tai Chi was one of the original martial arts, it is now practiced all over the world as a relaxation technique by people of all ages in the same shape you are in, and sometimes in even worse shape. When you begin an exercise class, you may have the illusion that everybody other than youbelongs there, and that they are all good at it. You will find that everybody goes through the same trials and tribulations. As you lighten up on yourself, you’ll see struggling, growing, and healing are everywhere. Breathe and enjoy; you are among friends. Categories: FAQ, News, Social Events | Permalink.